As a single parent I really find it hard to make ends meet. 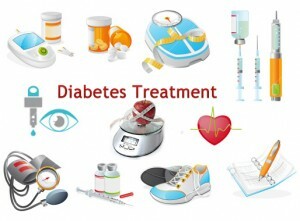 I know that very often I do not buy the foods that I should to help control my diabetes. Is there any way I can eat healthily but cheaply? Planning meals ahead and making a shopping list will help you not to buy on impulse. Avoid shopping when you are hungry as you are more likely to buy items not on your list. Supermarket own brands are often much cheaper. Bread is often sold for less near closing time. (Avoid buying bargains if you cannot store them.) Bread, pasta, rice, crackers and porridge are cheaper sources of energy than sugary foods and are much healthier. Frozen vegetables can be cheaper and easier to use, as long as you have a freezer. Fruit may look expensive but not when you compare it to cakes, biscuits and sweets. If you can get to a market the fruit and vegetables there can be cheaper. Breakfast Try porridge, which is healthy, cheap and excellent for diabetes control. When it’s too hot for porridge, try muesli: supermarket own brand or make your own from rolled oats, nuts and a little dried fruit, or supermarket own brand high fibre cereal. Lunch A sandwich lunch can be very healthy, especially if you can use higher fibre, granary or pitta bread. Tinned sardines, mackerel or pilchards are healthy, cheap choices for sandwich fillings. Tinned fish, scrambled egg or beans on toast can also be inexpensive. Homemade soups with added pulses (e.g. lentils) are filling and are a good source of protein and fibre. Main meal You do not need large helpings of meat at your main meal, and you can often extend it by adding tinned tomatoes or other tinned, frozen or fresh vegetables or adding pulses e.g. beans and lentils. Diet yoghurts make excellent desserts and are good value for money. Another quick and healthy homemade dessert is a sugar-free jelly (available from most supermarkets), made up with milk or yoghurt, with fresh or tinned fruit. The dietitian says that my high blood glucose levels during the morning may be caused by the pure fruit juice that I drink at breakfast. It is unsweetened juice, so how can this happen? All fruit contains natural sugar and unsweetened fruit juices are no different. ‘Unsweetened’ means that the manufacturers have not added any extra sugar to the product. Many fruit juices are made from concentrated juice so can contain more sugar than the corresponding whole fruit. Juices are easy to drink and so your portion of fruit juice may be larger than you realise. Eating whole fruit is more limiting in quantity and because of the fibre content may produce a smaller effect on your blood glucose, but this is also dependent on the type of fruit or juice. It is acceptable to include fruit juice as part of a healthy diet but limiting the amount to a small glass at a time would be sensible. You can also dilute your fruit juice with mineral water or diet lemonade. You may prefer to choose a fruit juice with a lower carbohydrate/sugar content e.g. tomato juice or ‘light’ cranberry (which uses artificial sweetener).